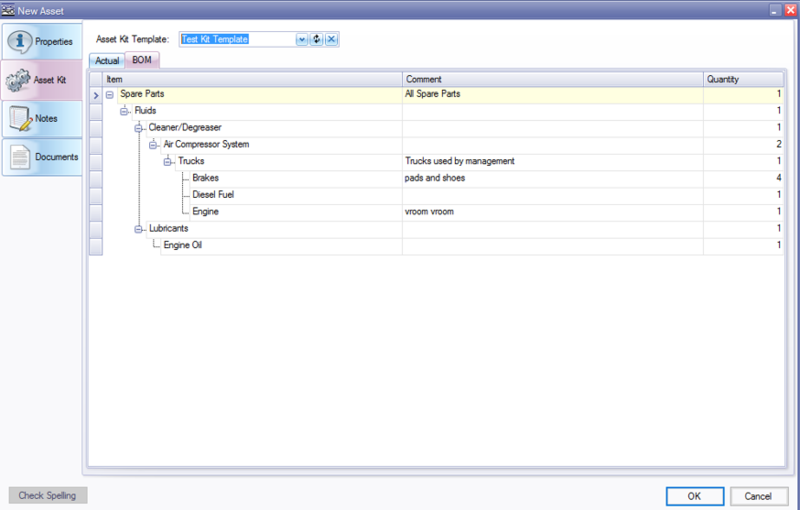 In the Asset Kit Template screen a user can create new tool assemblies from predefined templates. By creating a template, multiple assets of the same type can be grouped together and used when creating a new asset. Assets Kit Templates have sub-components to make up an asset. If an Asset Kit Template is defined, it can be chosen from a drop-down list on the Asset Kit tab when creating a new Asset. 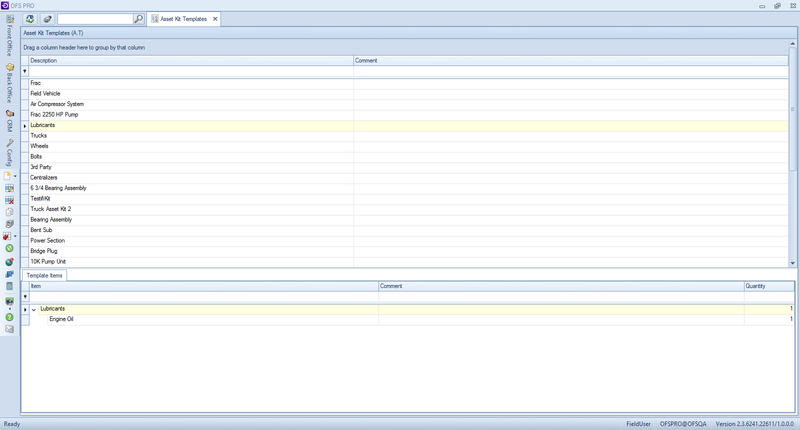 The template will show up in two tabs: Actual and BOM (Bill of Materials). Actual lists all the information associated with these assets, including the Asset ID, Rank, Name, Category, any Comments and Serial Numbers.